15 DIY wedding cake toppers: ideas to take your budget wedding cake to the next level! Perhaps you've done all the big things — booked your photographer, hired your caterer and have an officiant — so you can kick your feet up and take a break, right? Well, actually yes, you definitely should pamper yourself, take breaks and make sure you're staying as stress-free as possible. But when you're ready to jump back into the wedding planning game, you might find yourself a little baffled by the small details. Why? Well, for one there's a LOT of small details that go into a wedding day, so figuring out where to start can be tough! But when you start chipping away at it, you may find there's quite a few things you can (and should!) DIY to cut costs and add a flair of creativity. Perhaps one of the best things to create for your big day? DIY wedding cake toppers! We've rounded up some of our favorite DIY cake topper ideas and tutorials to inspire you brides — we promise that in most cases, this DIY won't cost more than $10 and won't take more than 30 mins to create...win-win, right? I mean, how cute is that sparkly star cake topper above? Read on for more fun DIY wedding cake toppers! These tissue paper cake toppers are super easy to create, and look adorable on cupcakes and cakes alike! Isn't it sweet how these look a little bit like fireworks on top of a dessert? This has to be one of my favorite wedding cake topper tutorials ever! Jen at Something Turquoise is always cooking up the craftiest ideas, and this painted hashtag cake topper is no exception. This has to be one of the most creative cake toppers I've ever seen! 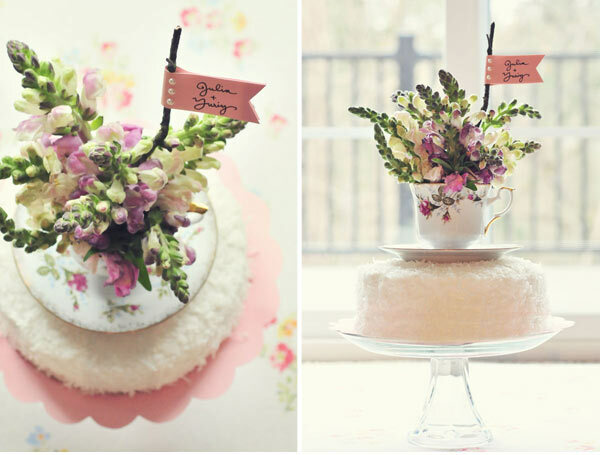 The vintage teacup on top gives it a whimsical feeling, while the fresh flowers keeps it lively and colorful. This paper flower garland cake topper is a little bit boho and a little bit whimsical — and is 100% guaranteed to look amazing on your cake! Sure, maybe you haven't seen pipe cleaners since your crafting days in elementary school — but that doesn't mean they won't look amazing on your wedding cake! 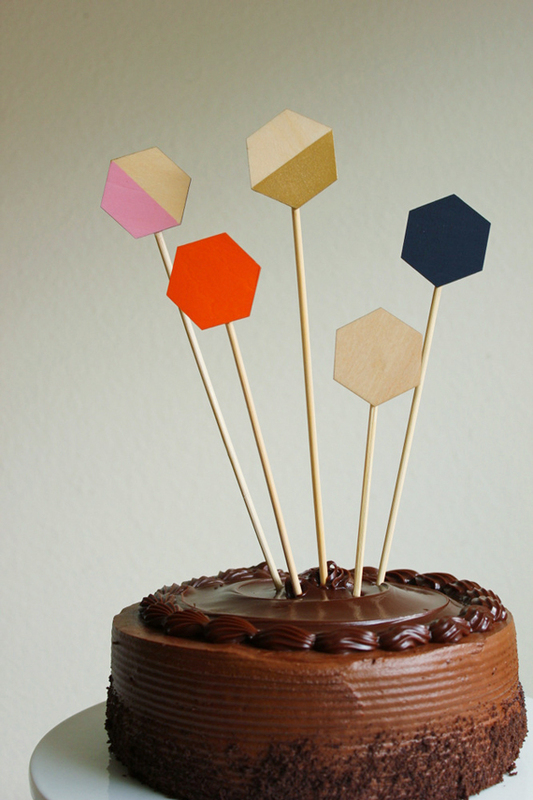 We love this simple XO cake topper idea by Minted, below. 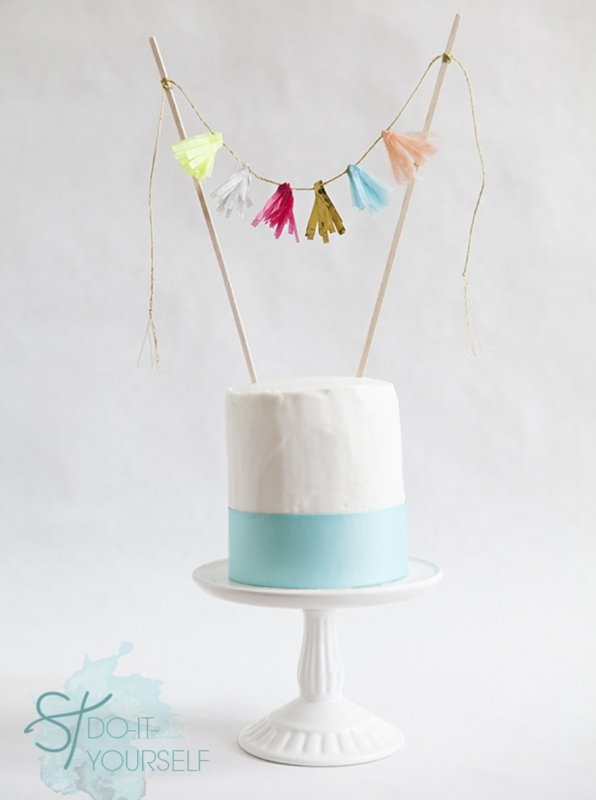 This next cake topper is created with candy necklaces! Not much to DIY here, just find candy necklaces and skewers, and you've got a unique and (literally) sweet DIY cake topper! Everywhere we look, tissue paper tassels are making an appearance in wedding decor. And for good reason! It's colorful, cute and so easy to DIY or buy. Why not use it for your cake? Looking for a more boho wedding cake topper? Then you'll love this heart-shaped thyme wreath — who knew an herb cake topper would look so adorable? Glitter and banners galore —that's what's going on in this next DIY cake topper, and I have to say I'm in love! Maybe you're looking to have a cake topped with bountiful blooms? This next DIY cake topper idea incorporates a little-known tool called a cake vase — trust me, if you want flowers on your cake, you'll want to know this one! 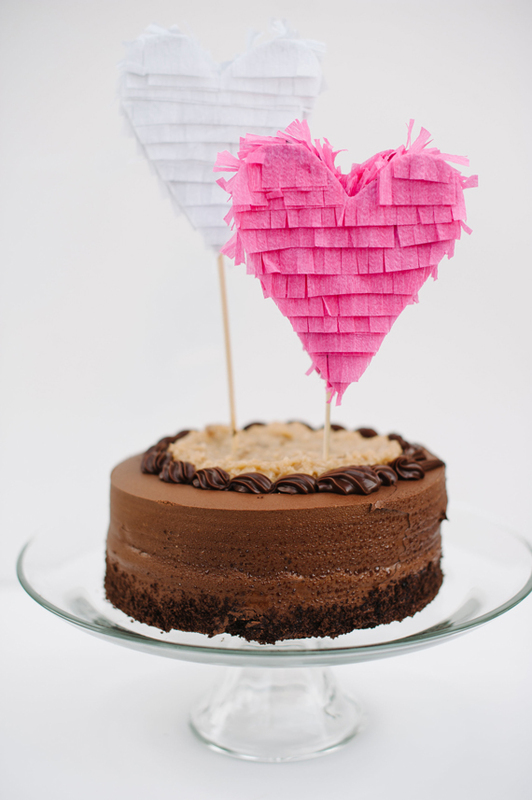 For an extra touch of festivities, these balloon cake toppers are a fun and unexpected touch for a dessert table. For someone looking for a luxe wedding cake topper on a budget, Lia Griffith's printable cake topper templates are for you! Simply print, cut and glitter, and you've got a gorgeous statement cake topper that will wow everyone. So now that you have all these options for DIY wedding cake toppers, the hard part is going to be choosing which one will go on your cake! How are you making your wedding cake stand out on the big day, brides? Let us know in the comments!